Afraid of gum disease or gingivitis? Periodontics is your number one defense against periodontal conditions that adversely affect the vital parts of the gums and bone that surround your teeth. Periodontology is the study, treatment and prevention of oral diseases and conditions that directly affect structures that support your teeth, such as gum tissue and bone. The preservation of these supporting structures is extremely important to your oral health; without them you can suffer the damaging effects of dental trauma and tooth loss. Gum disease is the number one culprit that affects your periodontal health, and is often the result of poor oral hygiene. If left untreated, bacteria forming between your teeth causes your gum tissue to become red and inflamed, and the bone supporting your teeth to degenerate. Because the structures supporting your teeth are weakened, your tooth becomes loose over time and may be lost. The good news is, we can treat mild to severe forms of gum diseases right here at our practice in a number of ways. Scaling, root planning and root surface debridement are non-invasive, non-surgical procedures in which a dentist is able to clean infected teeth. Dental plaque is carefully and systematically purged from your teeth, effectively preventing further gum inflammation and stimulate the affected gums to heal. In extreme cases, periodontal surgery may be required. Procedures such as pocket reduction surgery allow the dentist to lift the gum tissue away from the affected bones, which are then cleaned before the gum is replaced. Bone and tissue grafts can also be used to replace damaged periodontal structures, while other procedures can be performed in order to stimulate tissue regeneration in places where the gum and bone have receded completely. 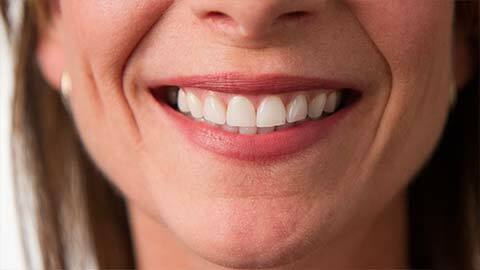 Complete tooth-replacement solutions such as dental implants or dentures are also available. If you need more information about Periodontics in Lansing, contact us today.